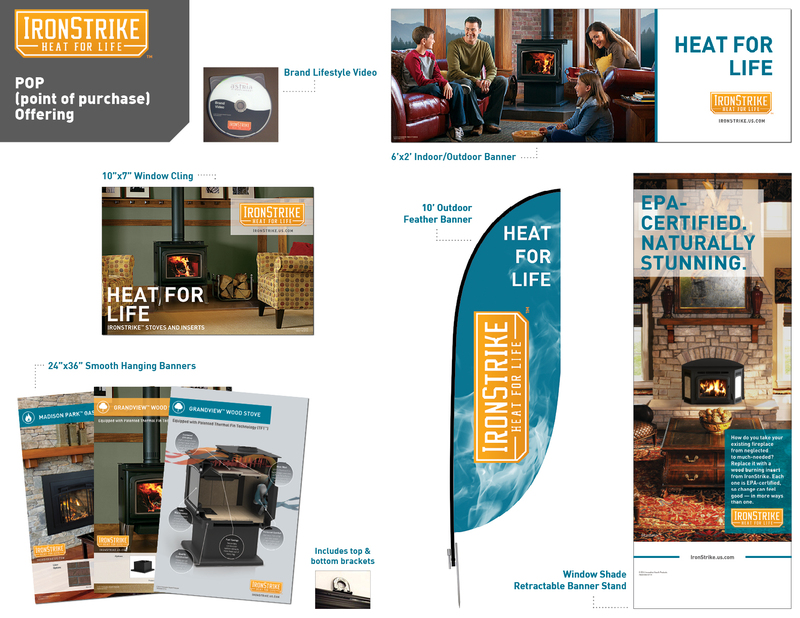 Retailers can capture attention with outdoor brand banners and in-store promo materials. Flag banners and door entry window clings attract attention. Even in a digital world, printed point-of-purchase (POP) materials can enhance retail showrooms with thought-provoking leave-behind information that sparks customers’ imaginations. As part of an integrated well balanced marketing strategy, in-store promotional displays can provide cost effective cross selling success. 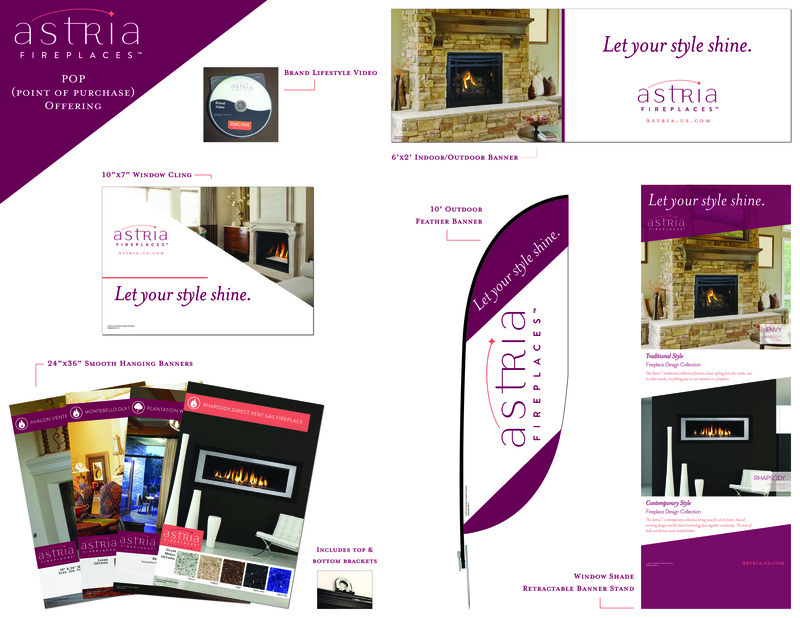 Fortunately, Nashville-based companies Astria & IronStrike will be equipped for the upcoming burn season with a variety of POP materials to enhance retail showrooms inside and out. Retailers can capture attention outside with welcoming outdoor brand banners, flag banners, and door entry window clings, or warm up a showroom’s interior with individual product sales talkers and tall free-standing banner displays. A looping lifestyle brand video brings everything together with the added interest of movement and sound to complete the package.